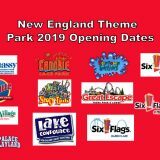 SFNE Online - Page 18 of 23 - New England theme park news, rumors, and information. 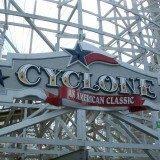 Cyclone construction update, week #4. 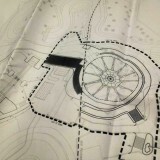 Track is now on site and more of the coaster has been taken down. 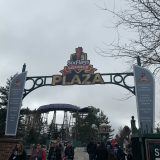 Join our friends from the Coaster Crew as they show off the deconstruction process of Cyclone at Six Flags New England. We’re back this week with our third construction update for Cyclone. Poll: What is your favorite New England attraction to ride at night? Vote in our newest poll – What is your favorite New England attraction to ride at night? 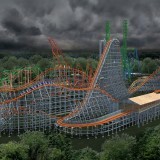 Quassy announces Frantic, a new inverting thrill ride! 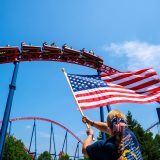 Quassy Amusement Park, in Middlebury, Connecticut, announces the addition of Frantic! Another week, another update. 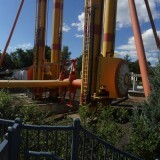 Here is our second Cyclone construction update. Another Riverside Park attraction (potentially) bites the dust. 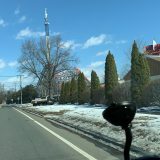 We are hearing that Six Flags New England may be planning to remove New England Skyway from the park. Which picture should win our photography contest? Help us decide which picture wins our first ever photography contest.